In 2015, the two biggest issues on the VA’s radar were the backlog and the wait times for appointments. While some progress has been made (the backlog on initial claims was reduced by more than 400,000—not a small number), overall the VA has not made as much progress as we would like. Maybe 2016 will be better? Recently, VA Secretary Bob McDonald addressed a Senate Veterans Affairs Committee hearing to reveal a list of goals for 2016 and to provide updates on many of the issues facing the VA. Some of the goals put forth include expanded healthcare options outside the VA through the Veterans Choice Program with the intent that, by the end of 2016, veterans would be able to obtain health care through any provider they choose and have it covered. 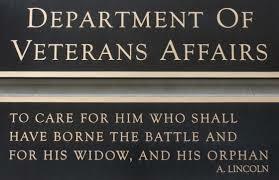 In reality, the VA uses several programs to reimburse veterans for care outside the VA system. These programs would need to be streamlined and consolidated in order to meet this goal. These actions would require cooperation and quick action by Congress to be approved, something unlikely under the best political circumstances, much less in an election year with a shortened congressional session. While the backlog of first-time claims has decreased by more than 400,000, the VA has seen pending appeals cases grow to more than 400,000 in the past few years. Another 2016 goal put forward would simplify the appeals process by 2021, making it possible for the VA to resolve 90 percent of appeals cases within one year, compared to the nearly 3 years currently needed on average to reach a decision. While this would offer quicker results, veterans might find that their ability to continually update disability evidence would most likely be limited. Simplifying the appeals process would also require congressional approval, a slow process at best. Despite programs like the Veterans Choice Card and promises to clear up wait-time concerns, veterans continue to experience excessive wait times for care, often resulting in more severe, advanced illnesses or even death. Sadly, Barry Coates, one of the veterans who testified before Congress about his battle to receive necessary care from several VA facilities, passed away January 23, 2016. When the scandal about delays at the VA broke 2 years ago, he was asked to share his story. After waiting more than a year after his initial appointment to get a colonoscopy, despite repeated requests for the procedure at multiple VA facilities, the colonoscopy showed that his cancer had advanced to Stage 4 and that it was only a matter of time before he would succumb to the disease. Reports of delays in providing care continue to come in from around the country, the most recent of which comes from Colorado Springs, CO. The VA Inspector General found that 68 percent of 450 reviewed cases at the Colorado Springs VA clinic waited more than 30 days for care. In addition, phony dates were used in the scheduling system to make it seem that wait time for the appointments was less than 30 days. Twenty-eight patient records indicated that they received same-day appointments when in fact they waited on average 76 days for that appointment. Representative Doug Lamborn, in a letter to Secretary McDonald, reported that a veteran was seen at the facility last April and was declared a suicide risk, but was not referred for treatment. He took his life 6 weeks later. Unfortunately, there are too many veterans suffering similar fates. On the plus side, some of the goals proposed by the Secretary would not require Congressional approval. These include modernizing the VA hotlines and contact centers, more employee training, and updating the vets.gov website. While there are definitely many negative factors in play, we are hoping that the VA will be more successful in implementing this year’s goals to provide the necessary service our veterans deserve. We will continue to monitor the situation and report on any progress being made.